By having an extensive and varied range of townhouses in Torrevieja, our properties in the Costa Blanca South are located in different parts of the city so that you live according to your goals. That is to say, we have houses farther away from the center so you can enjoy peace and tranquility. We also have bungalows with more proximity to different public facilities. And in the same way, we offer some townhouses with wonderful views of the sea. 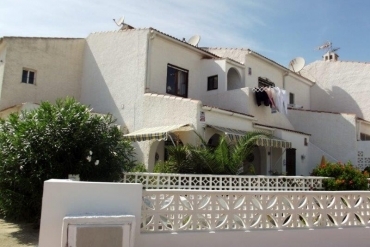 What more qualities do our townhouses for sale in Torrevieja offer? In addition to the features just mentioned above, our townhouses for sale in Torrevieja offer other qualities so that all members of your family can feel comfortable and entertained. For example, some of our bungalows for sale contain a pool so you can cool off from the pleasant summer weather of Torrevieja, without having to leave the house. Other of our townhouses in Torrevieja is a few meters from the beach so that you have the fortune to be the first to step on the sand every day. In this way, if you want to enjoy family days on the beach, you will not have to travel far to start enjoying the day. Our real estate agents are active and willing to provide everything you need to start living in one of our townhouses for sale in Torrevieja. If you wish to contact any of them, you can come to visit our Torrevieja office in Calle Bizet Shopping Center, Local 6 La Siesta - 0318 (Alicante). You can also contact us by phone call or by email. Call us on 0034 966 785 202 or send us an email to info@casasespania.com.